"All Natural Weight Loss Supplement"
Extract Is The Hottest Diet Today! Green Coffee Extract has become the latest natural food supplement for appetite control and fat burning that is in the spotlight of the dieting worlds eyes. Green Coffee Extract is becoming the hottest selling, super-food supplement for weight loss and appetite control for 2013 and has actually sold out in most major stores. Why Does Green Coffee Extract Help You Burn Fat? With only a fraction of the caffeine that a normal cup of coffee has, green coffee extract is not like roasted coffee or other caffeine based diets that make you edgy and high strung. Actually green coffee's secret is an active ingredient called chlorogenic acid which slows down the release of sugar or glucose into the blood which in turn gives your body more time to process it and not store it as fat. Chlorogenic Acid has a profound effect of inhibiting the release of glucose in your body while burning fat in the liver and/or increasing metabolism. These two effects work together to suppress the absorption of fat and may help to stop weight gain. Can you get the same effects from a regular cup of coffee? The answer is.....no you can not. When coffee beans are roasted you remove the chlorogenic acid. Green coffee beans are unroasted and extremely bitter, This is why they are preferably taken in capsule or tablet format. How Long Should I Take Green Coffee Extract? 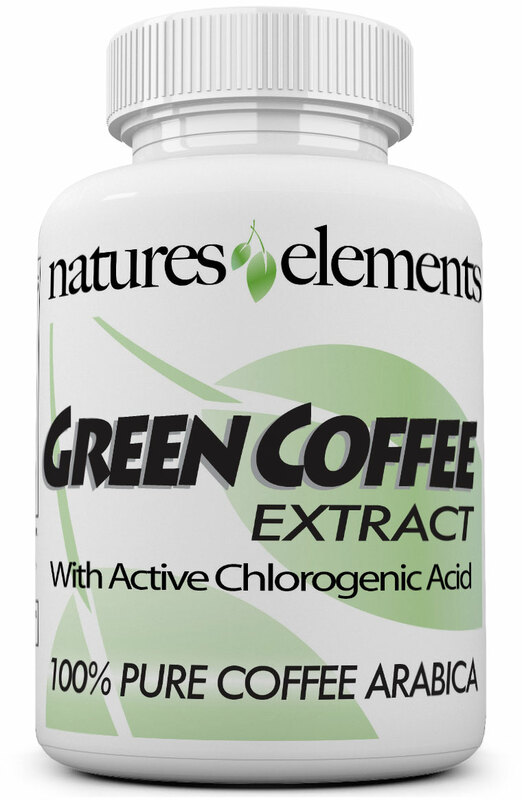 Green Coffee Extract is taken daily with two small easy to swallow capsules. 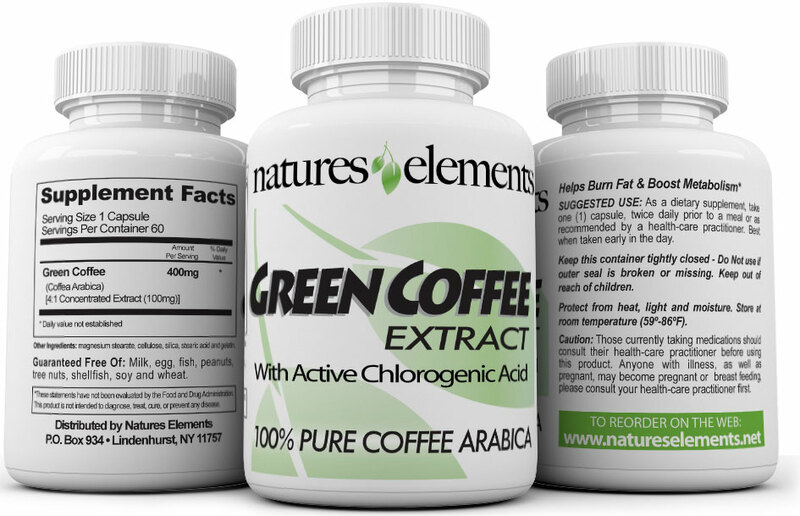 Each bottle of Green Coffee Extract contains a 1-month supply. Although Green Coffee Extract may work quicker from one individual to the next, we recommend you use it on a daily basis for the recommended period of time. After consistent use for at least 3-4 months, you should begin to see and feel results. You may achieve continued results the longer you are on the product. Be sure to order an ample supply. Natural medicine is designed to create a holistic balance within the body and can take time to propagate through your system. Be patient stick with it...you’ll be glad you did! And remember that combining green coffee bean with a healthy diet and exercise can improve your results..